Dimetrodon Skeleton. Replica. MOUNTED AND CRATED. Mammal-like reptile of Permian Texas. Hayashibara Science Museum. 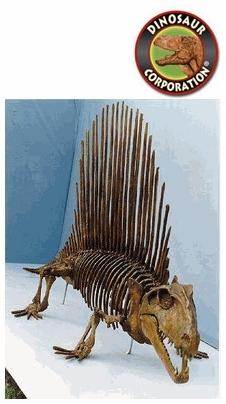 * Museum quality Dimetrodon skeleton is cast in durable polyurethane resins.